Modern kitchens are often synonymous with “luxury” ideals to some degree. This makes sense; modern kitchens will, naturally, require modern appliances and modern design ethics. One of the most desired of all of these modern kitchen concessions is that of the Kitchen Island Unit. We assume most of you are already familiar with the concept, but in case you’re unfamiliar; a Kitchen Island Unit is a freestanding unit situated in the rough centre of a given kitchen. What a Kitchen Island Unit may contain is relatively flexible; some are installed simply to provide extra surface space for pots, pans, and dishes, or likewise an additional service for family or guests to sit at. Some will contain extra cabinet space, allowing for storage of crockery, utensils, and possibly smaller or handheld appliances. In some instances, Kitchen Island Units will be kitted out with appliances (ovens, dishwashers, washing machines) or even hobs designed to work with minimal surface areas. Ultimately this choice will come down to personal preference, but having less cramped conditions to cook or prepare food often make it a more viable option. It’s not entirely out of the ordinary for these various functions to be combined together in any formation; extra storage space combined with appliances, seating area mixed with hobtops, so on and so forth. Likewise, additional lighting can be affixed above a Kitchen Island Unit for further ease of use- and indeed, most kitchen islands will have additional lighting affixed above them. The form and functionality may not seem immediately obvious, but having a centralised area in a kitchen setting- be it for seating, food preparation, storage, or any of the above- is actually quite a smart idea. As covered, it offers less cramped conditions for proper food preparation, which not only makes it far easier but also helps lessen accidental messes, spillages, or other unfortunate happenstances. Additional storage space is, naturally, always a boon in any homestead. Perhaps the least obvious benefit is it’s use as a centralised area in a social context; having an area for guests and family to hang around- or even sit at comfortably- helps redefine a kitchen as prime space for socialising during dinner events or family get togethers. If you’re still unsure about whether a Kitchen Island Unit is right for you, please feel free to contact us for further consultation from our trained design staff. Several of our package kitchens contain Kitchen Island Units, and we will be only too happy to help you find the right one for your home! Here at Silke, we’ve largely based our business model on ultramodern, German-style kitchens filled with cutting edge design philosophies and state-of-the-art appliances to go with them. However, occasionally, we like to shine a light on another form of kitchen design, for both the sake of balance and to help inspire our readers somewhat when designing their own kitchens. Today, we’re going to be taking a quick look at Scandinavian Kitchen design. Compared to the bleeding edge features typically associated with German and Italian kitchens, Scandinavian Kitchens are going for something of a medley of styles. Certainly, elements of more modern kitchen design philosophies can be found within them, but Scandinavian kitchens generally owe a fair bit to Shaker style kitchens. Decor made of wood, or that otherwise evokes design trends from a bygone era can be found paired alongside starkly modern appliances. Actual architectural or decor design can sometimes get fused together, too, and it’s not entirely unusual to see smoked glass or stainless steel fixtures alongside ones made of finely aged oak. The end result is a style of kitchen that doesn’t feel too closely tied to either the past or the present; instead, the fusion of modern and old world styles create a kitchen environment that feels unique, and fairly bold. This is especially true when compared to contemporary design movements throughout Europe, which often eschew tradition in favour of The Now. Indeed, it can be argued that the stark contrast between metal and wood makes them stand out even moreso then your bog standard modern kitchen, and stick in the memory longer as a result. Other curious little consistencies in Scandinavian kitchen design include elements that fit neither of the prior mentioned design philosophies. For example, black and white tiled floors come up occasionally, recalling a 1950s aesthetic. It’s also not entirely uncommon to see potted flowers or plants dotted around a Scandinavian style kitchen. Both of these factors further create a air of hodge-podge within the design. As a result, Scandinavian kitchen design is likely to be a love-it-or-hate-it design ethic amongst our readers. The fusion of elements going into it will no doubt offput a fair number of you, whilst greatly appealing to the rest of you. Such is true of any design ethic, of course, which is one of the great things about kitchen design in general. Colour wise, Scandinavian Kitchens will generally tend more towards modern trends. That is, neutral or warm colours will generally take precedence, with the odd splash of something more bold here or there to draw the eye. A fairly frequent topic covered on this blog before is that of space. In the modern age, where house prices and rent rates are high, space often comes at a surplus for many people. Whilst this tends to be felt most when it comes to choosing appliances or mapping out worktops, but an often unconsidered factor is the use of pocket doors inside your living space. Doors take up a heck of a lot more space and room then I think many of us first consider. For starters, the width of a given door frame is going to take up space in of itself, as it will need to be kept clear and unobstructed. Secondly, the door itself is going to take up space itself, whichever way it’s hinged. In fact, according to current building regulations, hinged doors require a minimum of 7ft 2” of swing space, which obstructions are not supposed to interfere with; smaller residences are likely not going to have that much freedom to play around with, and even in larger homes this is not always practical. Typically, it’s the fact that most doors are hinged in any given residence that causes this problem. Chances are good that many people aren’t even aware that there IS an alternative to hinged doors. However, there is, and in a residence where size is a problem, they’re an absolute lifesaver; Pocket Doors. You’ve likely seen Pocket Doors before, but not known that that’s what they’re called. Rather then being hinged and swinging either inward or outward, a Pocket Door is a slide-door construction that allows the door to easily slip into the wall in which the doorway is constructed. The tracks Pocket Doors operate on are also top-hung, meaning there are no obstructions or awkward footfalls occupying the door frame. These are universal to pretty much any make and model of pocket door, giving each customer the freedom of choice when it comes to style. The two main types of Pocket Door include ones which side directly into the wall cavity itself, or ones that feature a heavy duty metal cage, called a Cassette, that the door will slide into. As a general rule, Pocket Doors with Cassettes will be far more expensive then those that simply slide into the wall cavity directly, but they offer an additional benefit that ones lacking a Cassette don’t have; extra reinforcement. Whilst pocket doors without Cassettes are usually more then adequate for most home environments, there are a few non-commercial applications for ones that do feature them. For starters, walls with heavier decor- such as those with intricate tiling- will likely require the extra heavy duty reinforcement. Doorways that feature the most foot traffic are also likely to benefit from the heavier reinforcement as well. Finally, if you’re installing a glass door or fire door, then a Cassette-based Pocket Door is required. Installing Pocket Doors in a pre-existing residence is far more complicated then installing them in a new build, as wiring and piping will have to be taken into consideration. You will need at least the width of the door frame itself free within the adjoining wall space to be able to fit a Pocket Door, otherwise you will be unable to fit one. Factors such as the door’s thickness, width, and even weight will have to be factored in too. Most retailers will recommend sticking to normal width and thickness regulations, as non-standard sizing may require the need for bespoke options and may lead to higher labour and fitting costs. If you’re interested in pursuing Pocket Doors as an option, then it’s worth looking into the wide variety of design styles, handle styles, and additional fixtures offered by any number of retailers that deal in Pocket Doors; not only are they a tremendous space saver, but they’re also incredibly versatile things in terms of form as well as function. As we’ve discussed on these blogs before, Colour can be a funny old thing. It is a subject of both personal taste, yet there does a fairly rigid theory to how it all works. This leads to both very varied and very interesting ideas of what colours evoke what feeling within certain settings, and what style certain colour should be paired with. In a slight change of pace, however, we’re not going to be talking overall colour theory today. Instead, we’re going to be talking about a specific colour called taupe. A few of you have probably shaken your heads and said the name back to yourself in the form of a question. Indeed, Taupe isn’t one of the colours typically taught to us in primary school, and similarly to colours like Magenta, Burgundy, or Chartreuse, it can be a little difficult to definitively define. Broadly, it is defined as “grey with a tinge of brown”, although many people would likely refer to it as a dark Beige when looking at it. There exist variants that also contain slight tinges of Yellow, Green, or even subtle Purple hues in addition. In either case, the end result is a very neutral colour. It’s therefor typically not used as a leading tone in room design, but rather as an accent colour offsetting lighter tones like cream or lighter beige options. It also works very well with earthier tones, including a variety of dark Browns. It isn’t entirely out of the ordinary to see it paired with much bolder brighter colours to create a stark contrast; it can sometimes be seen paired against Plum or Maroon shades, bright and bombastic Oranges or Yellows, and even Navy Blues in some instances. The effect Taupe creates, typically when paired with lighter and subtler tones, is that of both warmth and cosiness, and a distinctly “modern” vibe. It is both welcoming and inviting, yet it doesn’t feel old fashioned or outdated. When paired with bolder tones, it helps ground the more vibrant aspects of the room in these very qualities. Therefore, it’s a colour that should be considered when crafting a modern kitchen setting; whichever tones or shades you choose to pair it with, it will reflect a homely quality that will help your kitchen stand out. Worktops are funny old things, aren’t they? Perhaps more then any other element of your kitchen design, the worktops will need to encapsulate the core ideas of “form” and “function” in equal measure. After all, they’re not just there to look good; they also need to be able to withstand the typical kitchen hardships. Water damage, heat damage, staining, scratching et al. As a result, worktops come in a wide variety of hardy materials, each one catering to specific design philosophies and coming with their own benefits over each other. Today, we’d like to highlight one kind of worktop specifically; Laminate Worktops. Firstly, this isn’t quite the same Laminate you’ll remember from your school days. The term Laminate itself actually refers to a specific process when creating materials. Specifically, it’s a process whereby given materials are manufactured or treated in multiple layers. The end result is a composite material that has improved strength and stability over a non-laminate material. In terms of worktops and most building application, the term typically refers to Plastic Laminate. There is some crossover however with the form of Lamination you may be familiar with, as it is not uncommon for a hardy plastic later- the laminate- to be applied to or even in between layers of wood, glass, or another form of compound- the laminated object. Perhaps the greatest benefit that Laminate Worktops have going for them, in addition to their versatility, is that they can be designed or treated to capture the look and aesthetic of other materials. 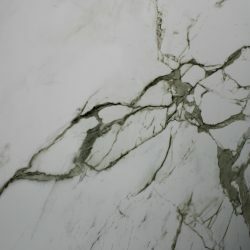 Essentially, you can have Laminate Worktops that evoke Granite, Marble, Wood, and even designs and patterns unique to the material. Another is that whilst luxury worktops are available, there exist a number of Laminate Worktops within the budget market that are more affordable, but without sacrificing the hardiness that makes them appealing in the first place. If you’re either working with a budget, or looking for worktops that stand out and stand firm, then perhaps it’s worth looking into Laminate Worktops. The world of kitchen design isn’t a strict monopoly. For starters, no one single company deals with absolutely every aspect of the design, fitting, construction, and decorating of a kitchen. 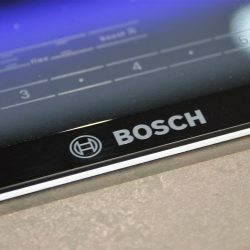 Either the consumer will have to work with multiple partners to complete their vision, or the design firm they throw their lot in with will be working closely with other companies (often as providers of appliances or materials). This is one of the many reasons we give a bit of a platform to other companies. And today, were doing just that, by briefly covering Farrow & Ball. Founded by John Farrow and Richard Maurice Ball in Wimbone Mister during the 1930s, Farrow & Ball is a provider of high-end paints for decorative purposes. So high end, in fact, that the company have worked closely with the National Trust for Places of Historic Interest or Natural Beauty, formulating near exact colour matches for the restoration of historic and protected buildings. In the decades since their formation, they’ve managed to go multinational (with branches in mainland Europe, Canada, and the United States) have produced three books- Paint and Colour in Decoration, The Art of Colour, and Living With Colour- and even offer a range of wallpaper patterns made using traditional block, trough and roller methods. Of course, their main draw is their expansive range of paint colours, which currently stands at a total of 132 colours. And boy oh boy, what an incredible range of 132 colours. Firstly, the expansive range features a significant number of neutral, or otherwise subtle shades instead of overt, bold, “in your face” tones. That isn’t to say the range is by any means boring; in fact, it’s this dedication to a somewhat classier range of colours that makes Farrow & Ball stand out. The “neutral” category alone contains 55 breathtaking shades, including Old White, Oxford Stone, Tallow, Salon Drab, and Clunch, any of which would work as a leading colour in any kitchen. Colours from their slightly bolder ranges, too, are standout- Blazer, Babouche, Churlish Green, Arsenic, and Pelt rate as some of our personal favourites. In addition, the paints come in a number of finishes to suit any potential need, from Dead Flat to Exterior Eggshell, and Full Gloss to Limewash. No matter what you require paint for, Farrow & Ball has you covered! If you’re looking for an extra touch of class and sophistication in your modern, German style kitchen, then a splash of Farrow & Ball paint is just what you need! As design becomes a more centralised facet of our kitchens, we often begin to see certain elements of trends from the past repurposed or reinvigorated somewhat in the modern kitchen setting. One of the most notable instances of this occurrence is in splashbacks. As the name indicates, the primary function of the splashback was to protect the walls from water damage, either by way of overflowing sinks or pot spillages. Today, however, splashbacks are more and more commonly fusing functionality and practicality with style and grace. Many kitchen designer insiders have noted that the splashback (or lack of one) is one of the first things noted by patrons upon entering a kitchen, above even the worktops or appliances! One upshot to living in the modern age is that you’re not too restricted with your choice of splashback, when it comes to style or material. A number of companies produce splashbacks in all manner of materials, including a variety of metals, marble, even glass in some instances (as we’ve covered before). 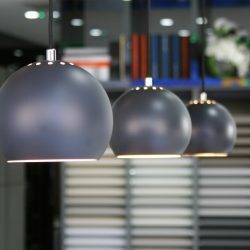 Any of these materials will work in a modern kitchen, as though they bring their own little atmospheric touches, they’re all incredibly flexible in their own right. One combination that’s proving popular is a metallic splashback paired with a marbled worktop surface, for example. Glass based splashbacks in bold tones are also hugely popular, as they inject a little bit of colour into the kitchen setting without wholly overpowering it. A number of splashback providers also include variants with intricate patterns, 3D printed sculpts with backlighting, and in some instances even the use of real gold or silver. When it comes to pattering, tone, or combination, the world is very much your oyster! We offer a wide range of glass splashbacks, provided to us by our trusted partner Deco Glaze. We have some examples of their work currently on display in our showroom- specifically, the Stack variant of their esteemed DecoKiln range. If you have any further questions, feel free to contact us directly. High Gloss Kitchens: How, What, Why? Today, we’d like to take a little of your time to talk about High Gloss Kitchens, and explain a little bit about them. The first question you might be asking is “what exactly IS a High Gloss Kitchen”? Well, put simply; they’re kitchens with an impeccable glossy sheen, provided by a special treatment to each material. The effect isn’t simply cosmetic, either; there is a practical function to the High Gloss Kitchen that makes them an absolute must for the modern consumer. For starters, they’re extremely durable; they will withstand a great amount of stress, be it scratching, burning, water damage, so on and so forth, and they will keep up that damage resistance for a very long time. Secondly, they’re incredible versatile, both from a functionality standpoint and from a style standpoint. Regarding the former, the glossier surfaces make them far easier to clean and maintain, aided along by their natural sheen and reflection. As far as the latter goes, few things betray an air of the modern quite like a good shine, and more or less anything will work alongside a glossed surface, no matter it’s style. In most instances, the surfaces that can be finished with gloss include Glass, Laminate, Lacquer, and Acrylic. It is worth noting however, that certain colours and certain shapes reflect light better then others; for example, a flat, black surface is likely to reflect more surface then a textured, brightly coloured one would. If it all seems like something that’s a little out of your price range, there’s no need to fret; high gloss kitchens are not inherently expensive. In fact, it’s very possible to find a number of companies that provide various forms of finish for a multitude of surfaces, with one certain to suit your price range whatever it may be. The kitchens we provide all include High Gloss surfaces as standard. Indeed, our very name can be roughly translated to “heavenly”, and what is more heavenly that glossy surfaces? It makes sense that we take a particular interest! If you have any further questions, feel free to contact us directly for consultation.